Mona Lisa which was finished in 1978 is a classic representative work of Fernando Botreo. 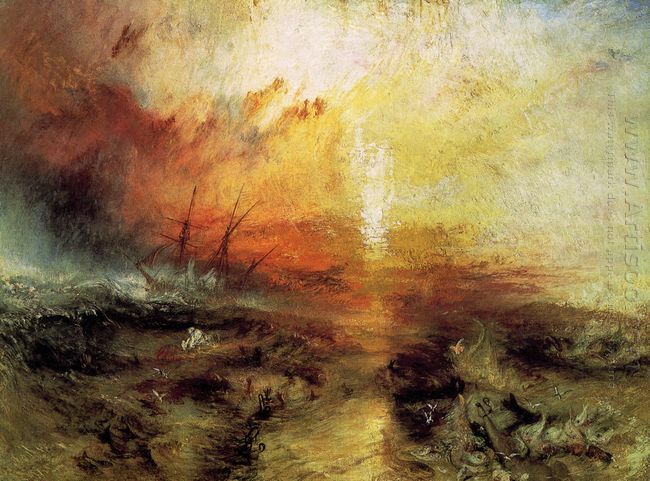 He was full of enthusiasm about masters'classical work, which led to his series of copies to works of them. But he specialized in adding his own characteristic and ideas in the paintings, employing Botreo's typical symbols to reproduce these works. We can see from his repeated theme of the works of ancient masters, such as The Arnolfini Wedding by JanVan Eyck and Las Meninas by Diego Velazquez. But the most noteworthy painting is Mona Lisa. 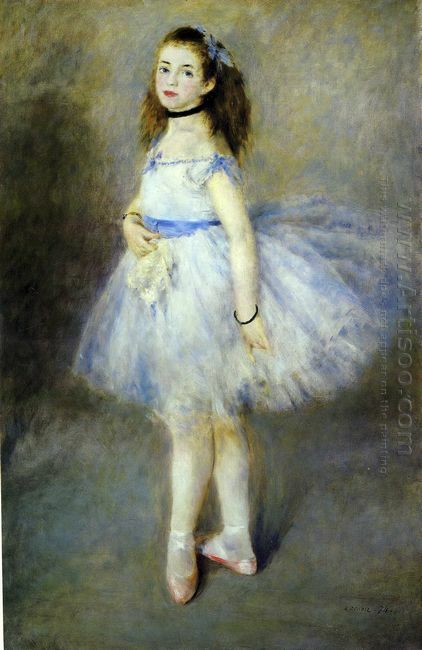 Botreo has been painted many pieces of Mona Lisa, for instance, Mona Lisa Aged 12 is an imaginative painting which portrayed Mona Lisa in childhood, while Mona Lisa we presented above is his masterpiece, whose composition is the same as Leonardo da Vinci's. 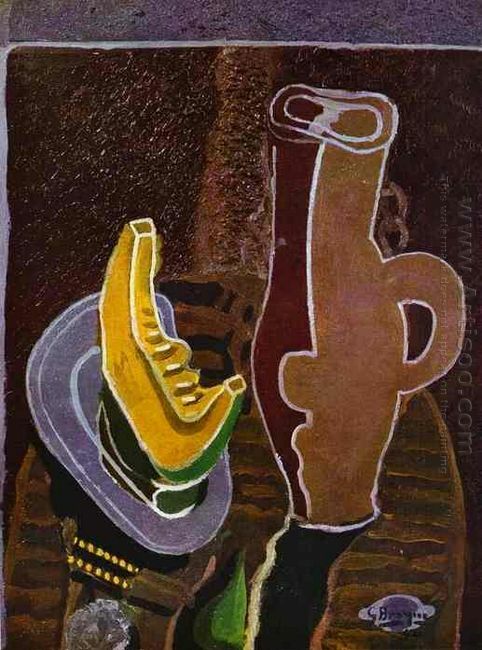 What the difference is that Botreo replaces many images in the painting by employing his unique style. In this painting, the inflatable face impels our desire to pinch the skin, and the scene of volcanic eruption behind the figure's right side is so naive and cute. 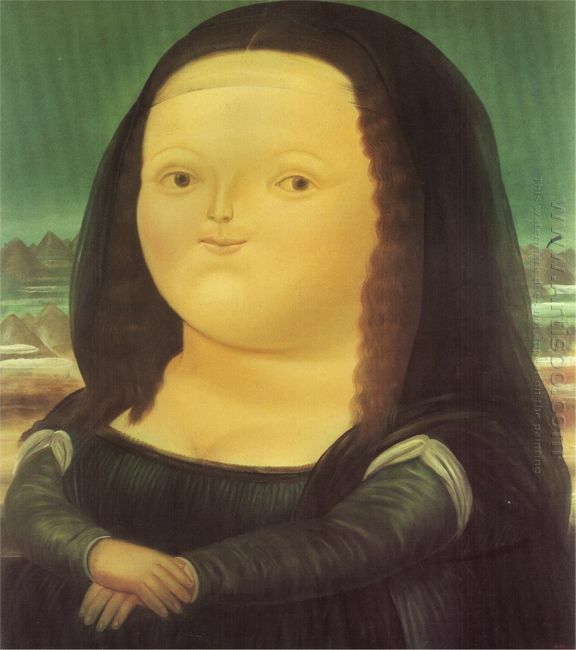 Writer Xixi referred to this painting in book The Topic of Time, he said, "I still remember his painting of Mona Lisa who is young, chubby and naive, which is his search for the origin of the smile of Mona Lisa in her adulthood, and verbal exchanges between artists in different periods." Though Mona Lisa is a reproductive work, but Botreo doesn't conservative, he achieves the purpose of innovation by way of theme replacement. Long before the 19th century in Europe, painting tools were produced by artists in the workshop according to .. 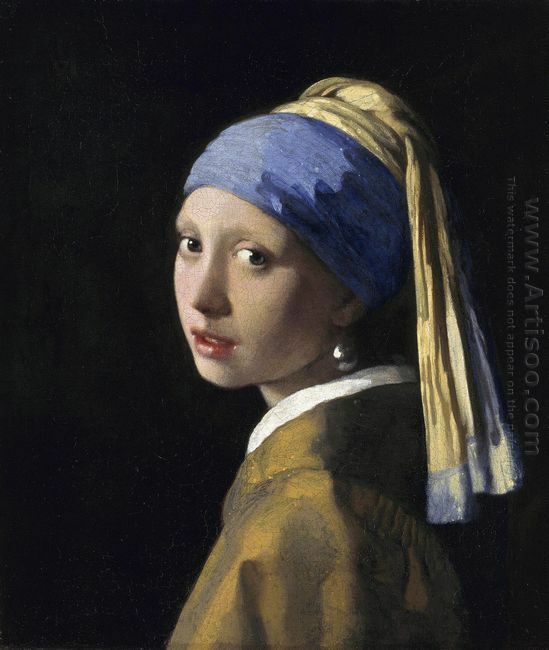 Girl With a Pearl Earring is considered as the most famous masterpiece of Johannes Vermeer, who was a ..
Renoir's oil paintings always give us a feeling that we are surrounded by sunshine. He enjoyed painting in .. 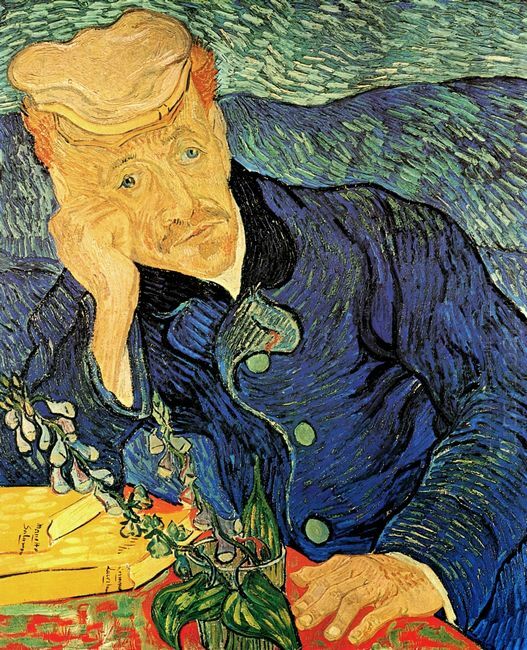 This Painting is a portrait of Dr Paul Gachet, which was created by Vincent Van Gogh in June, .. This entry was posted in Oil Painting and tagged Fernando Botreo, imaginative painting, Leonardo Da Vinci, portait, Primitivism. Bookmark the permalink.